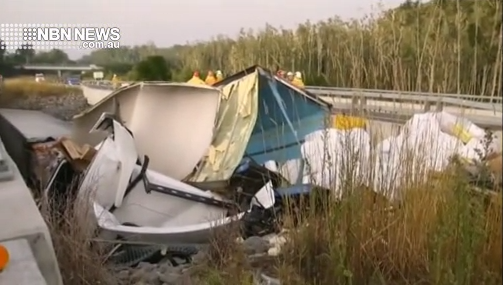 A man has died in a truck crash on the Mid North Coast this morning. Just before 6am police emergency services were called to the Pacific Highway at Raleigh after reports a B-double had left the road and crashed into a creek. The truck driver died at the scene, he’s yet to be formally identified.